Purchase Thawte, the most visible security indicator from us to secure and authenticate your identity to the industry’s highest standards. A thawte SSL123 certificate India provides validation that your domain is registered and that you have authorized the purchase of the certificate. 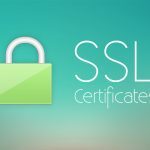 Through SSL encryption, the certificate assures that information is kept private between your web server and your clients' web browsers. 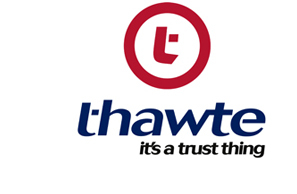 The Thawte SSL Certificates inspires trust in those who are considering communicating / transacting with you. The domain for which the thawte ssl certificates was issued. This allows customers to check that the certificate was issued for your domain (URL). The legal owner of the certificate. This acts as further reassurance, since customers are able to see whom they are doing business with. The physical location of the owner. Once again this reassures customers that they are dealing with an actual entity. The validity dates of the certificate. This is extremely important, since it shows users that your SSL Web Server certificate is current. Thawte's new SGC SuperCert now automatically steps up to 128-bit encryption for certain end-users with the Windows 2000 operating system who, in the past, would not receive 128-bit encryption irrespective of the version of Internet Explorer used. The systems affected are those that shipped prior to about March of 2001 and did not subsequently have Microsoft's High Encryption pack or Service Pack 2 installed. thawte's SGC SuperCert ensures that all these site visitors enjoy the protection of the strongest SSL encryption available. An SGC SuperCert from thawte will allow you to extend 128-bit encryption to your customers, even if they use browsers (IE 4.X or Netscape 4.06 and later) limited to 40-bit or 56-bit encryption capabilities. Certificates of Incorporation (Needs to be attested by authorized signatory with the company seal on it). Telephone Bill in the name of Organisation and of the number used by the Corporate Contact for the Certificate and an attested copy of the Telephone Bill of the number you use. Should be a Board number. Signature Verification Letter from the Bank. The words "Certified True Copy". Offcial seal of the signatory / organization on first page. Signature, Full name and designation of the Authorised Signatory on the first page. Initialization by the Authorised Signatory all the important pages of the document. Still have queries? Call us now on 0120-6790400 to get in touch with our Web Hosting experts. 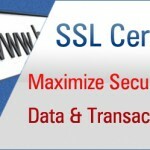 They will tell you about our exclusive Thawte SSL plans made specially for the businesses like you.